The Barnyard Cafe01277 264164work CafeOur new cafe is situated adjacent to our existing farm shop, with views over our fields of vegetables. We sell quality coffee and cake and handmade light lunches and snacks using fresh, quality seasonal ingredients. 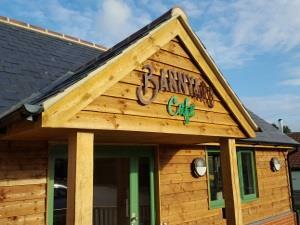 Our new cafe is situated adjacent to our existing farm shop, with views over our fields of vegetables. We sell quality coffee and cake and handmade light lunches and snacks using fresh, quality seasonal ingredients.